For kids who refuse to eat "normal" meatloaf! * Make your meatloaf the same way as usual. 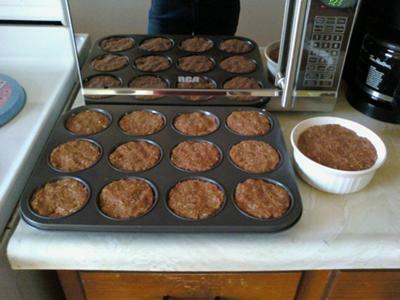 * Put it in a muffin pan (without the cupcake papers).